The Parish, created in 1953, is dedicated to Our Mother of Good Counsel, and encompasses the villages of Clare, Cavendish, Glemsford, Hundon and Stoke-by-Clare. It is twinned with the parish of Baba Dogo in Nairobi. Sunday parish Masses are celebrated in the Priory Church of Mother of Good Counsel. Daily Mass is celebrated either in the Oratory at the Priory or in the Church. The Parish Sunday Bulletin is now available on-line. Mass is celebrated each day at 10.00am and all other devotions and meetings continue. Friday and Saturday after Mass, or on request at any time. These times apply from Monday Evening Prayer at 6pm to Saturday Evening Prayer at 6pm. The community welcomes people to join them each day for prayer. In the evening at 6:00pm twenty minutes is spent in silent prayer before the Blessed Sacrament. Baptism is truly the most precious gift children receive as they come into the world to begin their life journey. We have put together a preparation programme to make this joyous event truly meaningful for you. During the Liturgy of the Word at the 10.00am Mass at Clare on Sunday, children up to the age of 9 years, the Little Church, depart to the Parish Room in the Priory and follow their own Liturgy of the word based on the gospel of the Sunday. Parents are always welcome to join in and help the running of the two Churches. The care of God’s dwelling is a fulfilling ministry. The cleaners’ rota functions in a seven-week cycle. New cleaners are always welcome. A forum of the Christian Churches in Clare which arranges ecumenical services rotating between the participating churches. We are graced with an excellent complement of composers and players but would be interested to hear from any singers wishing to join the small choir. The present parish representative at meetings of the Diocesan Pastoral Council is Tony Shepperd. Frances Massey represents the parish at meetings of the Commission for the New Evangelisation. This is a rural parish and the parish priest may depute a Minister of the Eucharist to assist and take the Blessed Sacrament to the sick. The Parish Priest should be informed of any need. To assist the parish priest in his administration of the parish, a finance committee has been established. It is a privilege to be part of the ministry of flowers, and we have a small number of people who currently undertake this important task, but new helpers are always welcome. The Government has made it possible for parishioners to increase their gifts to the parish by approx. 25% by the simple device of completing a gift aid declaration providing they are taxpayers. The Inland Revenue returns to the parish a proportion of the tax paid by the parishioner. 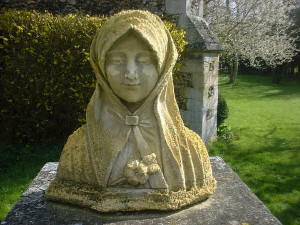 The administrator of the scheme for this parish is Annette Beavis. The boys and girls who serve at the 10 o’clock Mass belong to the Guild. David Bracher is responsible for training, organising and running the Guild. During the great seasons of the Church, Advent, Lent and Easter, and for other occasions, the liturgy group provides words and symbols as a focus for our meditations and celebrations. At parish Masses, readers for first and second readings, responsorial psalm and bidding prayers, are on a rota. The organisers for the Masses are John Wayman for the 8.00am Mass, and George & Iris Hopkins for the 10.00am Mass. A member of the community is a part-time chaplain at Highpoint Prison (North). From time to time, parishioners are involved in the ministry of visiting. The Prayer Fellowship provides support by their prayers for individual prisoners. 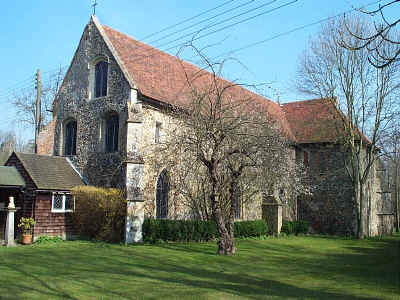 At a meeting in 1999 the Parish voted for meetings of the parish at three or four months intervals, The Parish in Council, in lieu of a Parish Council. The Parish in Council has a Committee from which a chairman of a meeting is selected, a secretary to produce minutes and prepare an agenda for meetings and members to act as contacts for parishioners to bring forward matters for discussion. We follow the national procedures for the safeguarding of children, young people and adults at risk. In the parish the Parish Priest is advisor. Desmond and Jane Crone are our Safeguarding Officers. Parishioners and other friends have formed a team of gardeners who tend various aspects of the Priory grounds, to great effect. If you would like to be part of the team, please speak to Fr Stefan, the Prior. At the 10.00am Mass on Sundays George and Iris Hopkins and Jim Coe welcome visitors and new parishioners, introduce them to regular members of the parish and encourage them to stay for coffee after Mass.